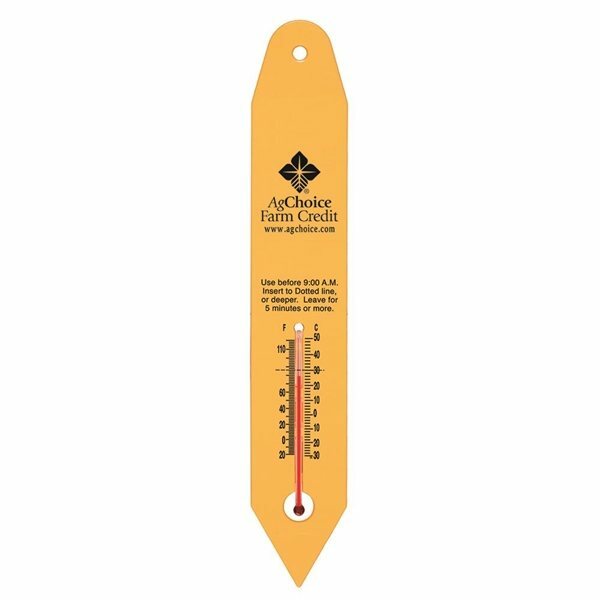 This styrene thermometer indicates the temperature of the soil before planting. Measures both Fahrenheit and Celsius. Nice and valuable item. Great graphics. Customer service was very good to work with. Highly recommend. Very happy with the products. Your sales contact was very helpful and made an effort to follow through the order. It was perfect. the quality is great and will last a long time. I highly recommend this product!! We did not imprint any logo. The product is great. Alicia went above and beyond to get the perfect product for our sketch comedy group show...He was extremely helpful and pleasant.